According to a report generated by Wall Street Journal on Wednesday, Snapchat, a mobile messaging startup, refused an acquisition offer of $3 billion or more from Facebook Inc. The report also revealed that this acquisition of Snapchat would have been the largest acquisition ever for Facebook although Facebook refused to the comment. 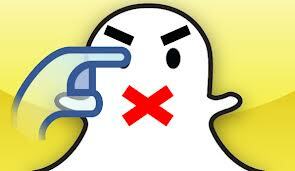 Snapchat is quite popular among teenage users. It allows its users to send and receive photos on their smartphone, which automatically disappear after a few seconds. A few weeks before this news was unveiled, the world’s number one, online social networking site Facebook acknowledged that there was a gradual decline in the number of young teenagers in the US using Facebook daily , while it also declared that overall use by teenagers was stable.